Adele shows off her dramatic hair style with this volumized style. 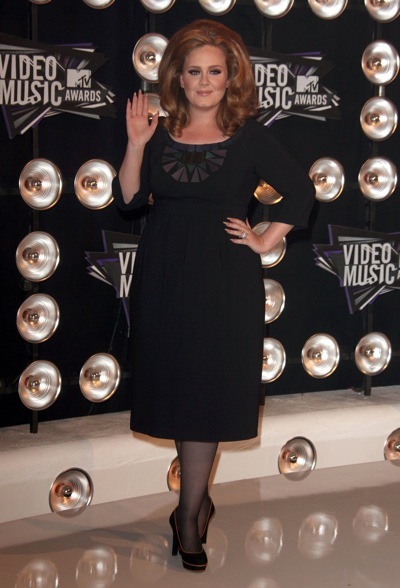 Adele looks beautiful in her simple black dress, a fashion favorite. To brave the cold, Adele pairs a flowery overcoat with black tights for fall fashion. Adele shows off her beautiful curls, a must in celebrity hairstyles. Adele adds some color to her style with this tye-dyed top. Adele her style casual at the airport in a black sweater. Adele adds a splash of color to her style with gold flats. Adele chooses a high-bun to keep her curls in check while shopping. 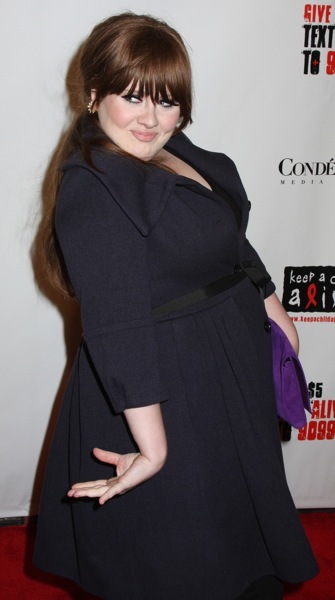 Adele wears her hair in tight curls for this night out on the town. More tight curls for Adele, this time her bangs get curled as well. A simple hairstyle for the stage, Adele puts her hair into a single braid. Adele’s stage style includes a knee-length black dress. Adele splashes color into her outfit with a stylish scarf. A swooping bang adds some flare to Adele’s hairstyle. By covering her shoulder’s with lace, Adele adds detail to her style. 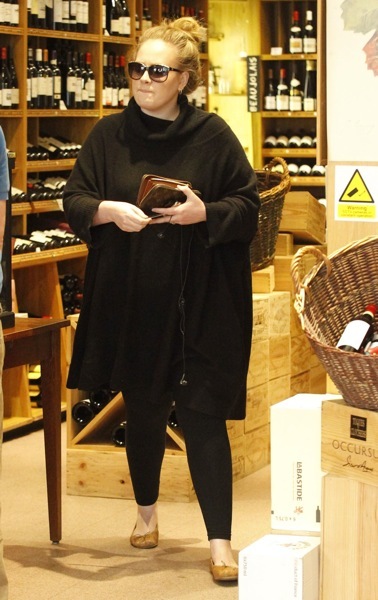 This black pancho is perfect fashion choice for Adele’s jet-setting lifestyle. Adele’s chocolate overcoat contrasts perfectly with her black outfit. A deep part gives Adele’s bangs some volume. 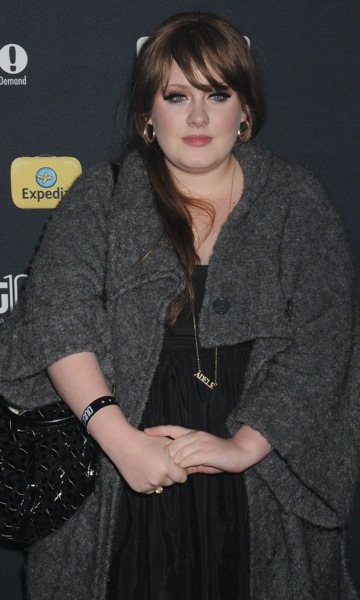 The contrasting textures on Adele’s coat add dementions to her style. Adele looks beautiful in a belted black dress. A great hairstyle choice for any occasion is to tease your hair at the crown to create volume like Adele. 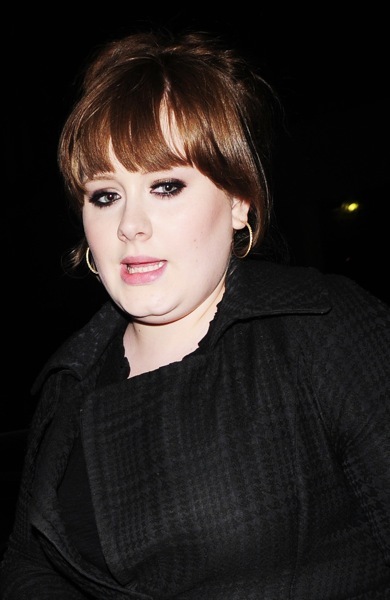 Adele adopts the teased ponytail for a simple and elegent hairstyle. Adele’s floral print adds unique style to her simple black dress. The cinched waist adds dimensions to Adele’s all black style. On a stroll with her dog, Adele wears an oversized sweater – a fashion staple. Adele braids her bangs to create a dynamic updo. This pancho Adele wears is a fall fashion must-have this year. This purple overcoat is a perfect style accessory to Adele’s black wardrobe. Adele changes her hairstyle to add swooping bangs. Adele flatters her figure with a trench coat. Adele shows off her deep bangs and auburn hair at this event. Adele pairs black pants with a rust colored tunic sweater for early fall fashion. The side ponytail that Adele sports is very stylish this fall. 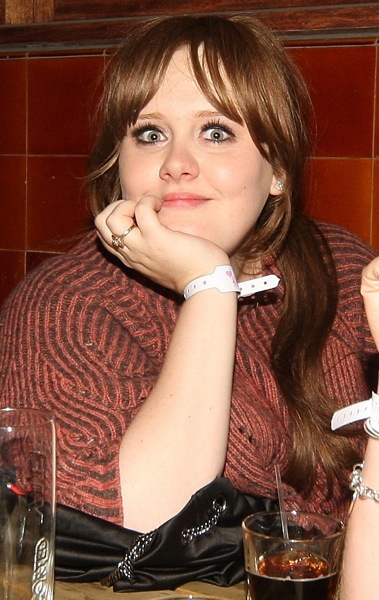 Adele makes face-framing bangs look beautiful with this hairstyle. Even with a beanie on, Adele’s beautiful hairstyle shows through with this low side bun. A black cropped cardigan keeps Adele warm on this early morning. Adele’s large gold hoop earings are a style staple.